Who was the People’s Choice? The most popular artwork at The People’s Show 2016 at Northumbria’s University Gallery resulted in a double winner after a tie in public votes. 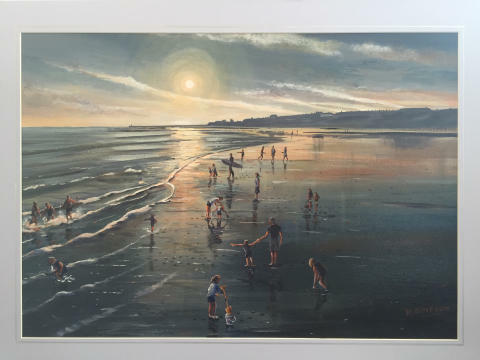 The People’s Show - one of the North East’s most celebrated open competitions for artists - returned to Northumbria last month with a £5,000 prize named after the late painter Norman Cornish. There was also a £250 cash prize for the artwork which proved most popular with visitors. After more than 200 votes from the public, two artists found themselves with the exact same number of votes and will now share the prize. The winners were artists Deryck Simpson with Fun on Longsands (acrylic on board) and Trevor Watson with Ladies Luncheon (watercolour). 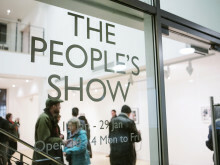 Held at the University Gallery at City Campus, the People’s Show is designed to foster the creative talent of the region and is open to amateur and professional artists based in the region. Any medium of art can be entered as long as the subject-matter is people. 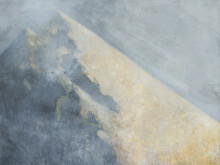 This year’s exhibition took place last month and featured the work of more than 30 artists from the region. Each year, the most significant single piece of work from the show is chosen by a judging panel, with the 2016 winner receiving the £5,000 Norman Cornish Art Prize. 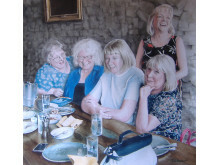 This year, the panel, consisting of Northumbria’s Head of Department for Arts, Professor Keith McIntyre, Professor Jean Brown, artist Helen Baker, and former People’s Show winner Carly Rybak, selected a painting by artist Lizzie Rowe entitled Sixty as the winner. Northumbria has a very strong relationship with the family of the late artist Norman Cornish, with the University housing a permanent collection of his work and engaging in a variety of activities to preserve his legacy. 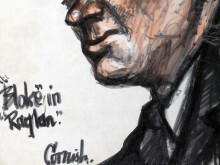 His family kindly allowed his name to be used alongside the People’s Show prize to become the Norman Cornish Art Prize at this year’s exhibition. The news follows recent announcements about ongoing plans for the Cornish legacy involving Northumbria University and Spennymoor Town Council. The Coming Home exhibition will see a permanent collection of the artist’s work on display at Spennymoor Town Hall in the new Norman Cornish Room. 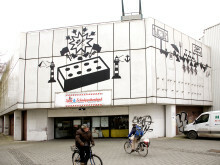 For more information about this exhibition click here. 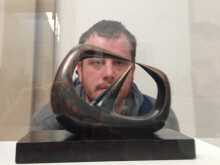 ​Striking artwork from the winner of prestigious Woon Foundation Art Prize 2014 will has gone on display at the Gallery North this month. 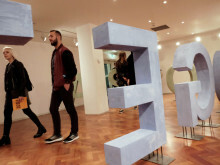 ​A triple-header of stunning new exhibitions by emerging artists opened at Northumbria University this week. ​One of the North East’s most celebrated open competitions for artists has returned to Northumbria University with a £5,000 prize named after the late Norman Cornish. ​Northumbria University will be one of the venues hosting this year’s AV Festival – the North East’s biennial celebration of contemporary art, film, sound and music.